I have this week off from work, and I'm spending today's portion of my staycation watching lots of Flip or Flop on HGTV. this show is making me want to completely rip out the kitchen, bathroom, and flooring from my outdated rental apartment, but since that's obviously me just fantasizing about impossible dreams, I'm channeling this energy into looking at easy DIY gift ideas. 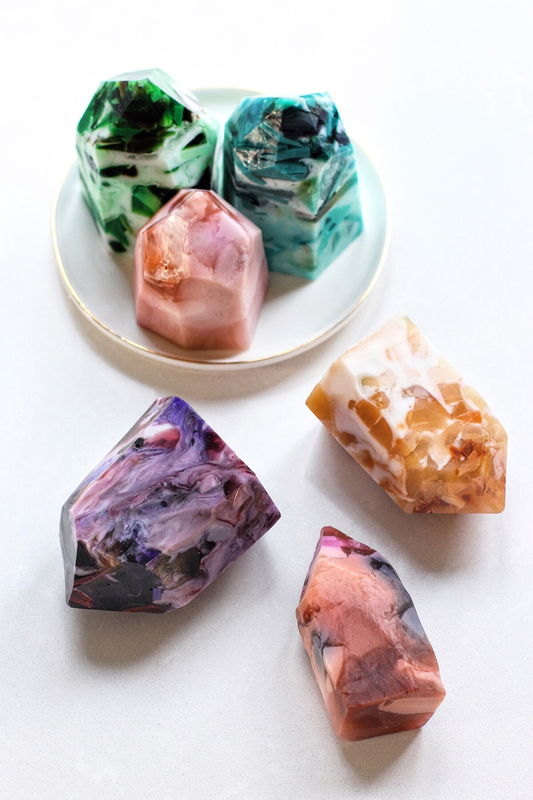 HonestlyWTF collaborated with My MakersKit to create these beautiful and surprisingly easy to make gemstone soap kits. they'd definitely make for a fun and easy gift idea, plus I love the thought of bringing gemstones into the bathroom without dropping major coin on a giant hunk of amethyst.